Ta Da! 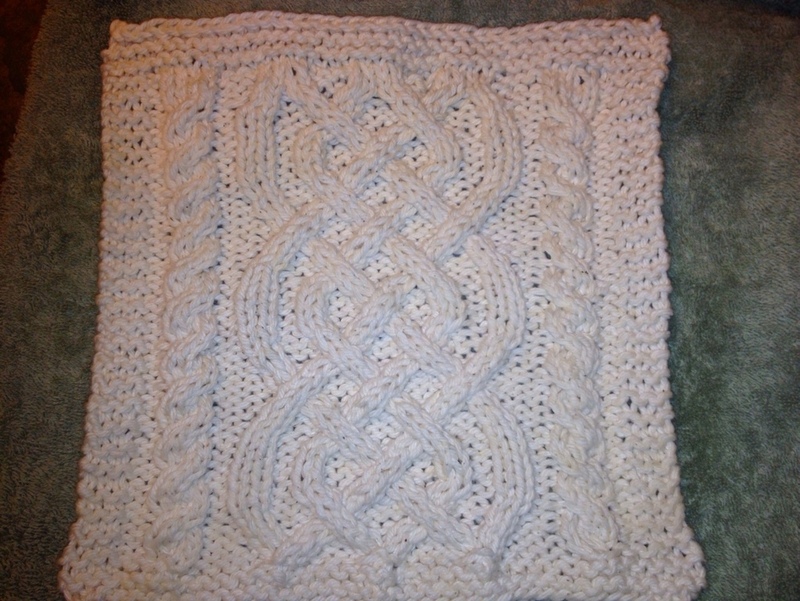 My First Cabled Washcloth! I enjoy seeing what others have accomplished. I know….all that work…right down the drain. I knew there was a reason I never learned to knit washcloths. That’s really cool! I’m still on the much more basic knitting stuff, but am working on an “owl” hat for Anneke. Nicely done! Thanks! The “owl” is next! I am, thank you! Once I got the hang of it, things went fairly smoothly. This may be my favorite knitted accomplishment. Next up: Fair Isle! Fab..you must be pleased with that.